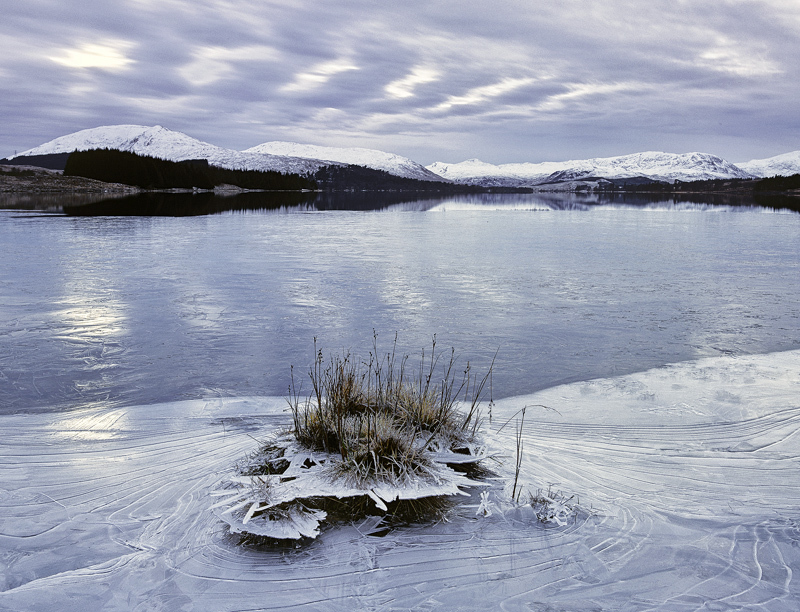 On a winter evening I made my way down to the end of Loch Tulla to try and capture some colour in the sky. None was forthcoming but for a short while a vague herringbone sky materialised above an ice star formed by a change in water level and multiple freeze thaw cycles of the ice sheet on frozen Tulla. They make tremendous foreground detail especially with the complementary contoured fractured ice and in the end perhaps that cold winter blue of twilight is more appropriate to the scene.